Following one of the previous posts explaining the plethora of research questions born during the e-learning and digital Cultures MOOC (#edcmooc), I set up a survey to explore how my peers explored information beyond the material provided by the course team. I would like to thank all 78 of my peers who responded and took the time to contribute with their reflections and information journeys! As I mentioned 78 fellow MOOCers responded to the survey. The number of responses seems very low in comparison to the 7,392 active #edcmooc participants of week two, as Hamish Macleod reported during the second live Google Hangout. By active participants we mean those who interacted with the Coursera platform even if their level of activity was minimum (e.g. just log in and/or browse). While the results may be inconclusive, the 78 survey participants approach the the average number of participants in the Twitter chats. 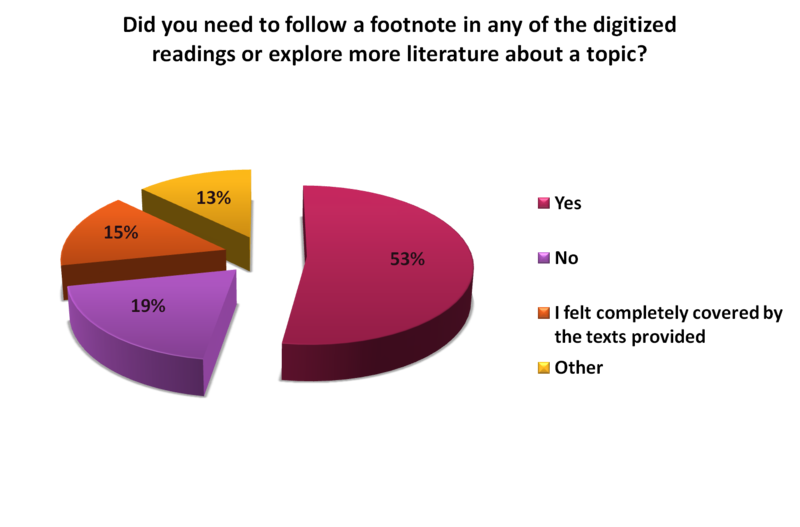 So how did EdcMooc participants respond? 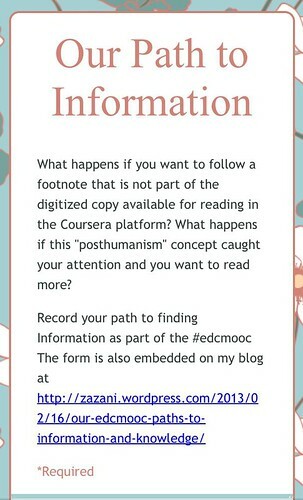 Did you need to follow a footnote in any of the digitized readings or explore more literature about a topic? 53% of the survey participants indicated they needed to either follow a reference from the readings or explore more about the topics, while 19% didn’t feel adventurous and another 15% were completely covered by the readings provided. Do you have access to subscribed content in your work or study environment? Overwhelmingly, 72% of the respondents had access to subscribed content although 10% of those didn’t need to use these resources. A significant proportion of another 28% of participants didn’t have access to subscription services. The participants’ comments fed back what seems as the most important element of the survey; the path they used to find additional information and enrich their learning journey. The following Wordlde illustrates the major paths followed. 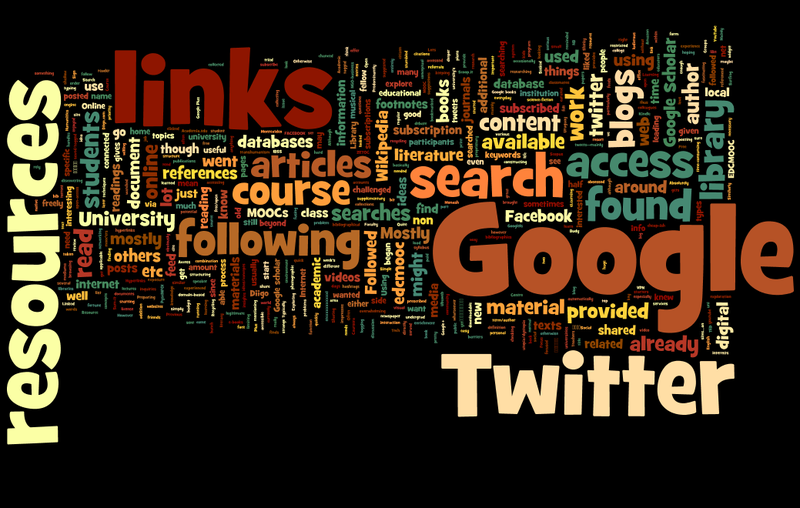 Google, Twitter and following links provided in other Social Media, such as Facebook and Google + were the dominant channels for finding information. Followed up references by running literature searches. I needed to go beyond what was provided as I cannot learn from videos. On the Internet, using mainly Google Search. For more academic material: Google Scholar, Academia.edu, Scopus. I have the fortune to work for 3 universities (it’s a strange job, but I love it! ), which gives me access to a lot more literature than I would otherwise have been able to read. While participants like myself, with a plethora of resources on their fingertips, chose to either take the path of searching onto their subscribed online collections or not, my main interest focused on the journey of my peers who were exclusively relying on the materials provided by the tutors. I dug a bit deeper to explore this option. I’m mostly “recycling” all the materials that I’ve had or found on FB, Ubuweb, twitter, YouTube & also other types of (musical & photographic) blogs, mostly non educational resources. Recycling, collecting , structuring new things & new ideas from the everyday life are part of my process of learning though the digital environment & discovering the use of new tools. It might be time-consuming because I rely on visual & musical resources as a non English native speaker. As for (conceptual or ludicrous video resources, they are as important as any academic texts to me and to those who want to have a further exploration of the ideas/concepts of this edcmooc. 1. Do a Google web search for the name of the author of the specific document. The keywords are the author name and document title. 2. Do a Google scholar search for the author and document. This usually gives documents that cite the document. I either went searching around the net until I found what I was looking for, or went to a torrent site and got it that way. I collected bibliographical information and will later see which of them I have access to without subscription or at my local library, since I am not connected to an educational institution. I sometimes found them from blogs, but mostly from Twitter or Facebook. I’d rather leave the Information Literacy-related conclusions to all of you who may stop by this post. Looking at the responses as an observant, the comments give further evidence of the educational level of the participants as Hamish reported during the second Hangout; a significant percentage of the participants are experienced learners with a high level of educational qualifications. Pre-course survey run by the EDC MOOC Organisers. 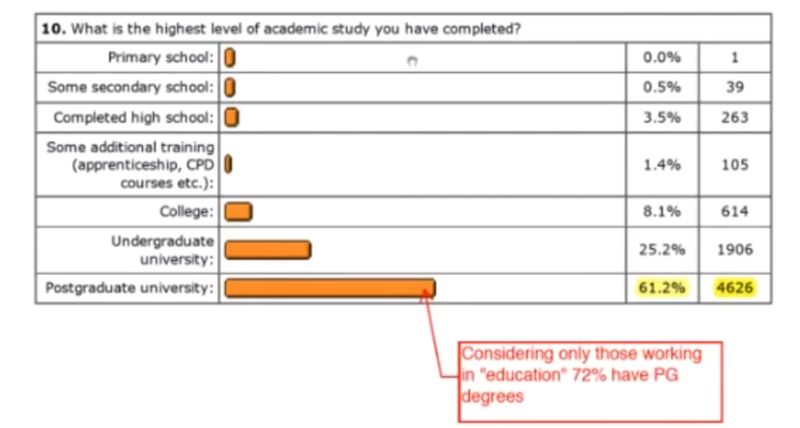 The survey was not initiated or supported by the Edinburgh EDC MOOC tutors team. It started from a personal interest in researching Information Literacy behaviours in the MOOC sphere. This entry was posted in #EdcMooc and tagged #EdcMooc, Demographics, digital cultures, finding information, Google, Information literacy, mooc, personal learning network, reflection, research, survey. Bookmark the permalink. Thank you, Eleni, for taking the time do this survey and publish the results in such a readable interesting format. Interesting work! Thank you Deborah. I am glad you liked the visualisation and found the survey useful! 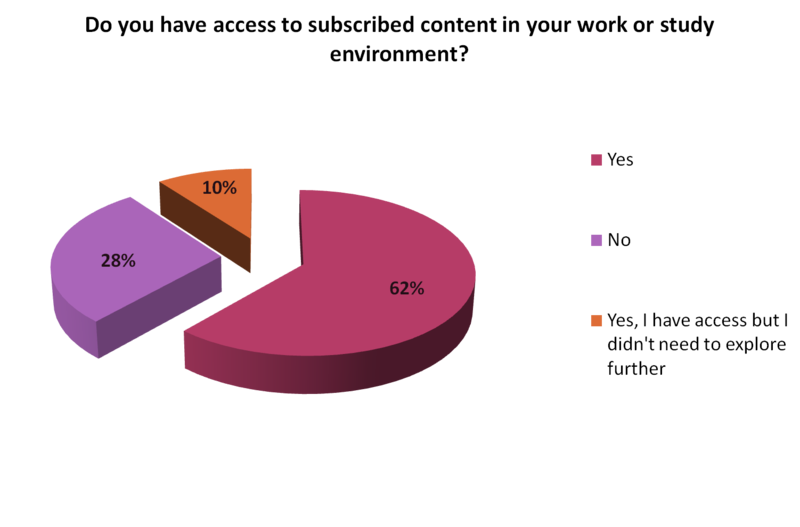 Hi Eleni, Interesting and possibly a fair representation although 78 respondents is a surprise (on the low side). Also interesting how google features.ahead of Wiki. Thanks for putting this together. Hi Ess, Indeed Google is the favorite or most common path taken and in many occasions the information seeking journey finished there. Thank you Eleni for this great data presentation ! Hello, thanks for this, I blogged about MOOCs including this at http://information-literacy.blogspot.co.uk/2013/03/moocs-librarians-online-event.html I included an embed of Dave Cormier’s video explaining the original MOOC concept: I thought it was interesting that he evidently perceived that an enabler/stimulus for MOOCs was teh fact that “information is everywhere”. As I say in the blog post, it does reinforce for me the importance of developing lifelong information literacy skills, so that people are empowered to browse, search and encounter information effectively outside teh academy. Thanks for your work here. It was a good reminder today of the course and some of the outcomes and findings. Just found it through Paperli.